Thirty-year-old Devils star Ilya Kovalchuk will "retire" from the NHL, most likely to return to Russia and the KHL. It's a big day for CapGeek. It's been no secret that Kovalchuk's sort of sick of life in the NHL—like many players he spent the lockout in Russia. Unlike many, he attempted to stay there even after the lockout ended. 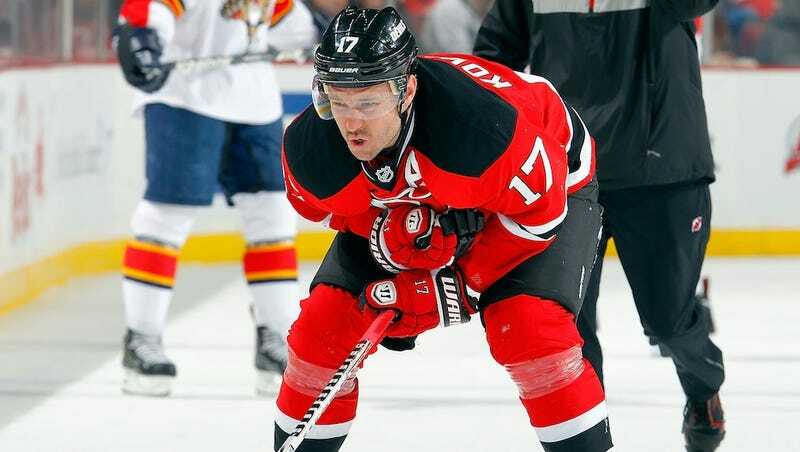 Kovalchuk and the Devils are largely responsible for the recent closing of a loophole regarding frontloaded contracts. His original deal was for an absurd 17 years, with the last seven for token salaries that no one expected to be honored, but put there to spread out his cap hit. The league vetoed it, penalized the Devils, and they signed Kovalchuk to a more respectable deal that gave him a financial incentive to leave for the KHL after 2018. He's just moving the time frame up. About that penalty. For their cap-circumventing contract, the Devils were fined $3 million, a third-round draft pick in 2011, and a first-round draft pick in the year of their choice from 2011-2014. The Devils inexplicably did not forfeit their first in 2012, when they chose 29th. That means they won't have a first-rounder next year—and they won't have Kovalchuk to show for it.